Some music is all about mood, about movement — less about how a song sounds and more about how it feels. Such albums seldom linger long in the background before they impact the the aura of the room, adding tension or slack, increasing or decreasing gravity, altering the lighting’s temperature and intensity. 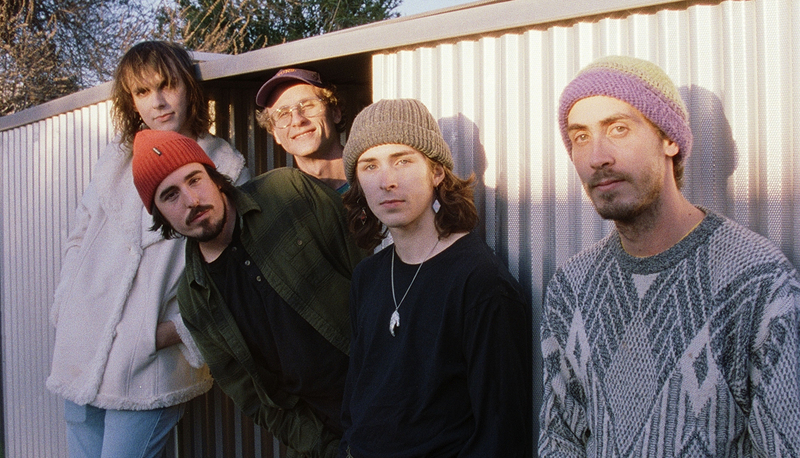 Since their sophomore LP, Accidentally, in 2016, Phoenix, AZ’s Pro Teens has centered their songwriting more and more on feel; truly, Philistines, their latest EP, epitomizes this approach. Take opener “Tulsa,” an underwater slow dance, mellow and moonlit, with its shimmering of guitar and bubbling bass line suspending the listener in a sort of comfortable infinity, or “She’s Gonna Be So Great,” whose tottering drumbeat sends the listener slogging through a thick swamp, lifting sopping feet with awkward grace as beautiful insects rattle past their ears. Both songs send the listener someplace else, allow them to feel its heat and see its distant hills and taste its salt, leave them with the same disorienting impression with which a dreamer is stranded upon waking. Each track on Philistines possesses this same transportive power, albeit with distinct outcomes. Just as “A Companion” conjures the moment a mystery is uncovered, its first clue found on the flurry-littered concrete beneath an overcast day, “Bloomin” summons a simple emotion: Drunken satisfaction, the sort that sends stumbling into the sunny laps of friends, laughing and singing, reveling amid the wavering organs and chirping chords. The hard rubber of singer Andy Phipp’s tenor somehow grounds these songs even as his flippant poetry lures the listener further into these strange imprints. This isn’t to suggest that these songs are more mood than melody. In fact, the EP’s final track “You Won’t” might fit nicely between the Dismemberment Plan and Deerhunter on a mixtape. Still, on Philistines, Pro Teens is simply more mesmerizing than catchy. Case and point: When “You Won’t” ends, when its jerky strut and janky chords stop suddenly, the listener will find themselves back in the real world feeling cold, confused, and disaffected with no recollection of the previous two and a half minutes — besides, of course, their gnawed-at heels and the dull neck ache, these vague reminders that, maybe even recently, they had been strutting down a sunny street.